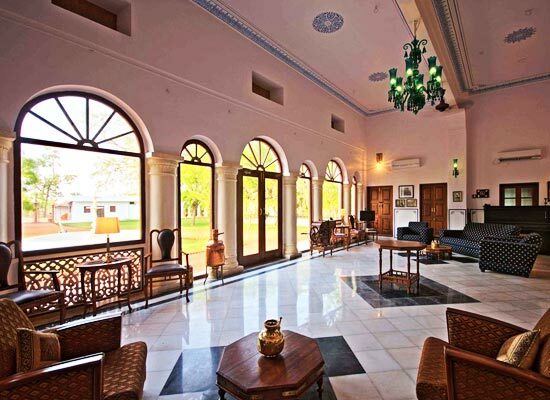 "Located close to a number of popular destinations of Rajasthan such as Jaipur, Jodhpur, Udaipur, Pushkar, Sawai Madhopur etc., WelcomHeritage Bijay Niwas Palace is one of the most popular heritage hotels of Ajmer. 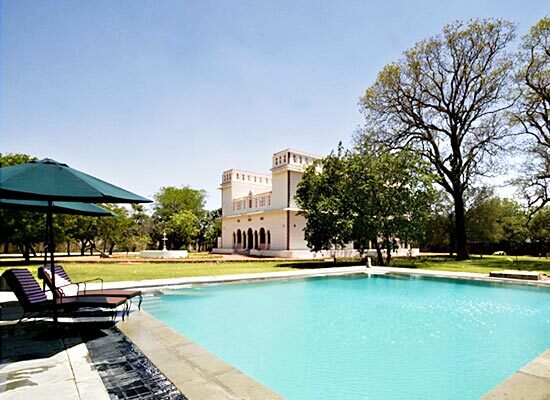 The property lies away from the hustle-bustle of the city, amid expansive well-maintained orchards and farms, covering 50 acres. The capacious rooms and suites are very well-appointed with all the modern comforts. 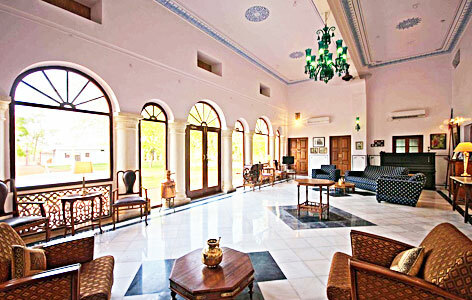 At the on-site dining venue, the guests can savor sumptuous delicacies of Indian, Rajasthani and Continental fares. The hotel offers a number of outdoor activities, swimming pool, Wi-fi, library and other facilities. WelcomHeritage Bijay Niwas was constructed around hundred years ago by Rao Bijay Singh, who was the 16th descendant of the erstwhile Masuda ‘Istimrardari’, a category higher than the Jagirdars. This property was constructed as a getaway resort. 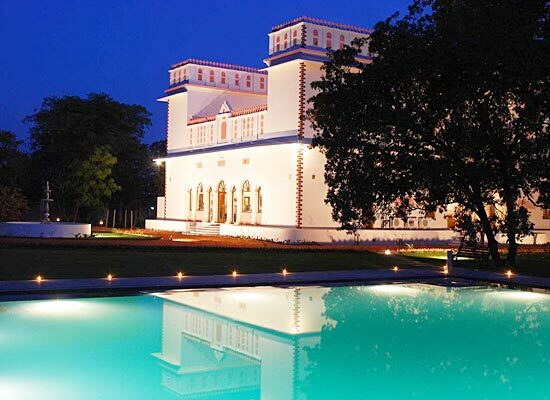 During the construction of this retreat, he also established a town, and named it after himself, Bijaynagar. 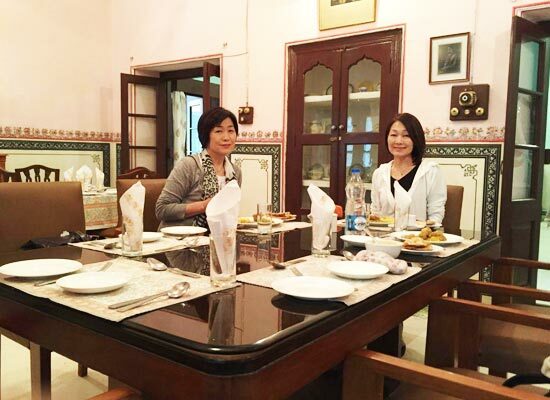 The history of Masuda royal family can be dated back to the first half of the 16th century, the times of Rao Jagmal, the founder of the Mertiya clan of Rathore Rajputs. It now has been turned into a heritage hotel. The décor of the accommodation is wonderful with original walls and ceiling, beautifully painted. In most of the rooms, original period furniture has been used. The works of popular contemporary Indian artists such as Sharda Ukil, Jamini Roy and Amrita Shergill, adorn the walls. 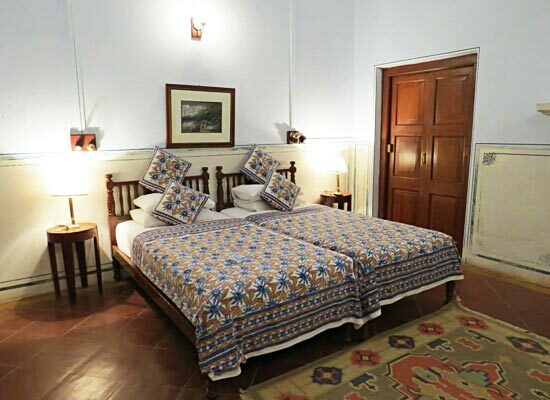 Some of the amenities and facilities in the room include air-conditioner, mini-bar, tea/coffee maker, TV with satellite or cable connection, attached bathroom with running hot/cold water, internet connectivity, heaters in the winter season, direct dial telephone and so on. At the indoor air-conditioned dining area, the guests can savor lip-smacking dishes of Indian, Continental and Rajasthani cuisine. The chef takes special care about the flavor, detailing, and hygiene. The dining area can accommodate around 36 guests at a time. The dining room is beautifully painted and has exquisite original stucco work. For al-fresco dining experience and bar-be-que, there is space available beside the pool. Enjoy the royal treatment. Breakfast can be arranged in the well-maintained garden of the hotel. Bijaynagar is a region in the state of Rajasthan and is a home to many heritage hotels and other significant attractions. Bijaynagar in Rajasthan, North India is most famous for its wildlife preserve which is a home to the Great Indian Bustard.